Uninstalled previous version of Outerra, downloaded and installed latest. Outerra demo hangs on the finished download bar. Im on a laptop where a previous version (been a while though) was working fine before. I also updated on a higer spec desktop earlier today and it worked OK, so might be my laptop? EDIT: If anyone else as the same problem - Restart system. I'm experiencing problems with graphics rendering. There are numerous colored linear artefacts, on terrain, vehicle models, and trees. It is very strange and anomalous. I'm using an R9 Fury Non-X with the latest drivers. I've attached some images of the issue as well as my log. The log file looks normal, missing the screens. With permission of cameni, that is who knows of this. I do have a modified configuration, but I also keep a separate clean install of OT. These issues appear in both. Also, deleting world, eng, and iomap did nothing. I don't remember seeing anything like that before. Unfortunately we haven't got a Fury card to test, but did you try some other modern OpenGL games or benchmarks, to eliminate a hw or driver problem? 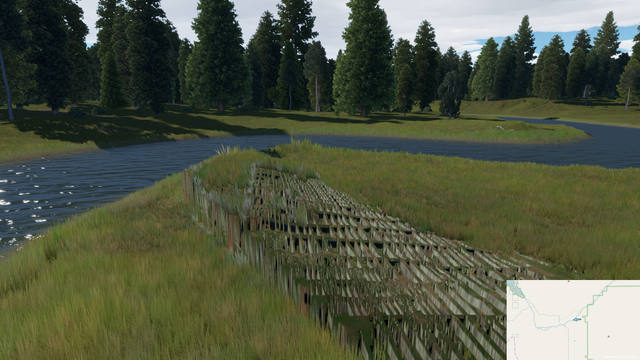 It's caused by the new Nvidia drivers (384). Older ones work fine. Is SpecViewPerf a good OpenGL benchmark? How should I test OpenGL performance? My impossible dream is for Outerra Vulkan integration, but I know that that is very far-fetched. Try FurMark, and then maybe Unigine demo with OpenGL back-end. It's not about performance, just to test if there aren't any artifacts under load. It's a known problem with acute turns, transition areas from two river segments intersecting each other.